Homeopathy is a medical system that was introduced by a German doctor Samuel Hahnemann over two hundred years back. The system is based on the Law of Similars, which was described by Hahnemann using a Latin phrase, "Similia Similibus Curentur", which means, "Let likes be cured by likes". Hahnemann named the system as Homeopathy. The philosophy is that the symptoms produced by a drug when given in strong doses to a healthy person, can be cured by the same medicine in higher dilutions in potentized form. In other words, minimal doses can relieve diseases that have symptoms similar to those created by strong doses of the drug. This is a philosophy that works excellently but is not understood by those used to material doses of modern medicines. Homeopathy is a powerful healing system that has stood the test of time and is especially known for its effectiveness in chronic diseases but that does not mean that it is no good in acute cases. 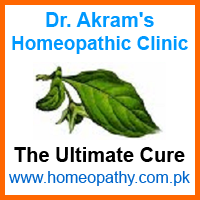 If your homeopath is experienced and knowledgeable, you would see how effectively it can cure. The system has the capability to cure many diseases without surgery. In certain cases where diagnosis has not been established and nothing has been found even after series of various laboratory tests, symptomatic treatment of homeopathy comes as blessing. Homeopathic medicine selected by taking all the symptoms in to consideration usually gives amazingly positive results. Homeopathic medicines are effective and safer at the same time with lasting effects, have no known harmful side effects if used correctly. The advantages, particularly safety of the medicines have given it ever increasing popularity. It is especially preferred for chronic diseases while it is equally effective for the acute diseases. Those who do not trust the system might like to give it a try. Hahnemann did commendable work during his life time but obviously he could prove only a limited number of medicines. Lots of medicines have been introduced after him by dedicated homeopaths. There are now thousands of medicines in the shelf that can meet most of the situations.